I made these for the first time a while back, and when I read my own blog entry to see how things went down, I see that the experience was fraught with mishaps. This time, I thought, my finely-honed baking skills will make it a breeze. I should know better. My baking skills may have improved, but my innate clumsiness remains unaffected by the passage of time. 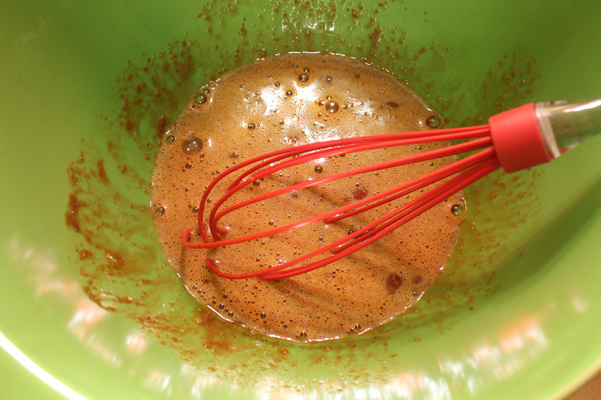 The recipe starts with melted butter and spices, including espresso powder. I thought I’d prep properly, so I got all the spices together so they’d be ready to add to the hot melted butter. The last time I made these, I waited for the butter to cool before adding the spices, but afterwards I thought I’d have been better off adding them to the butter while it was still hot, so I tried it this time. Good idea? No. 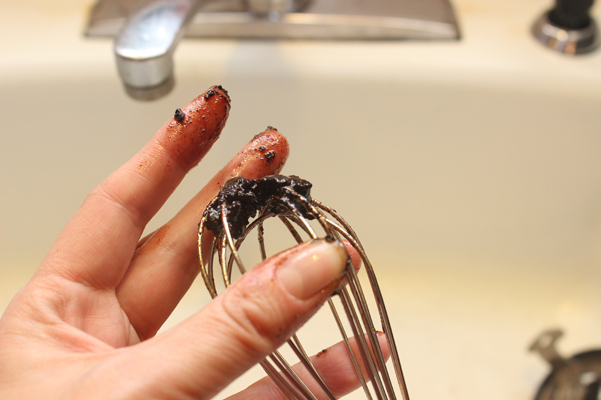 The espresso powder instantly seized, and clumped up, and I couldn’t even get it off the whisk. DOOMED! I would have suspected this recipe was cursed if the last time hadn’t yielded such deliciousness. I reassembled the spices. I melted more butter. 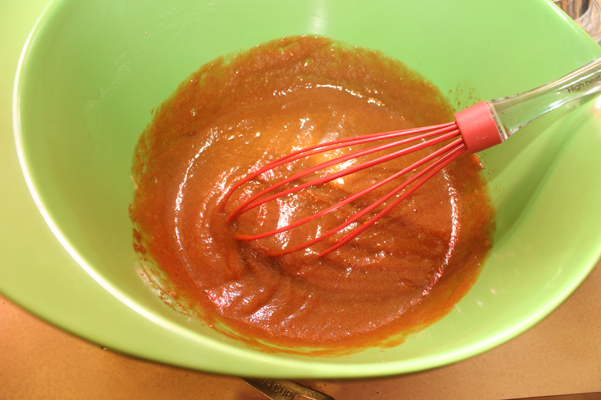 This time I waited just a minute or two, and whisked in the spices without any clumping or other nastiness. Leaving the pan for the moment, I cracked some eggs, added brown sugar, and whisked vigorously. 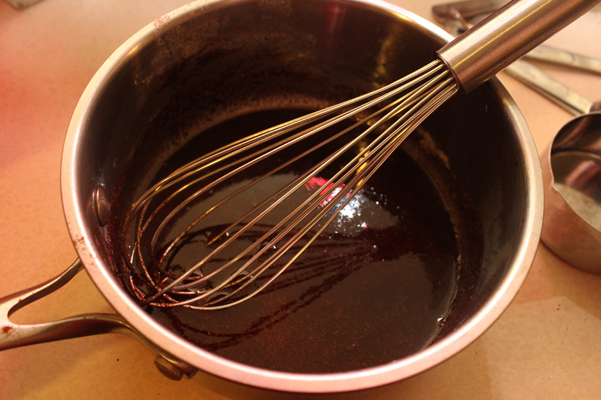 I whisked in the pumpkin, yogurt, and vanilla, opting for vanilla bean paste instead of extract. And then I added the butter and spice concoction. 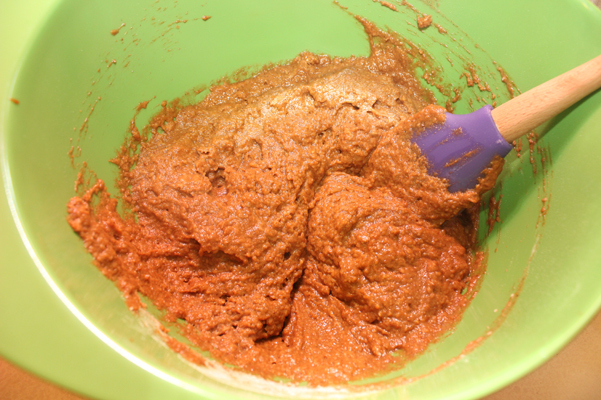 Separately, I whisked together flour, wheat germ, baking powder and salt, then added half of it to the pumpkin-espresso mixture. I poured in some milk, then the rest of the flour, and stirred, carefully and lovingly. It’s funny: in my memory of that day, nothing clumped. Nothing spilled. Nothing broke. My notes, however, dispute that account. First they say “Hard stuck moosh,” which I know refers to the clumping espresso powder. But then I see it also says, “spills and dropping and splashing.” The memories came flooding back. I was spilling things. I was dropping things. Flour poofed. Milk splashed. Pumpkin plopped. 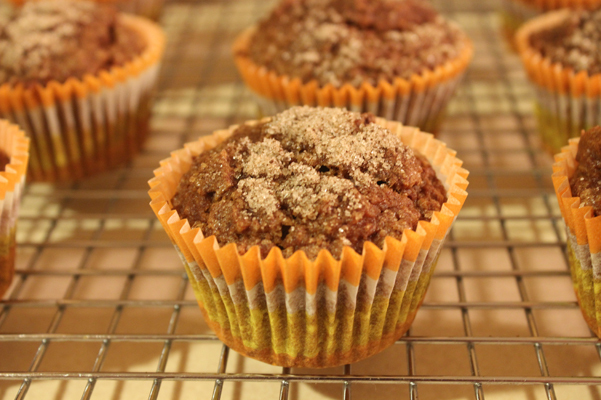 Many paper towels were sacrificed for these muffins. 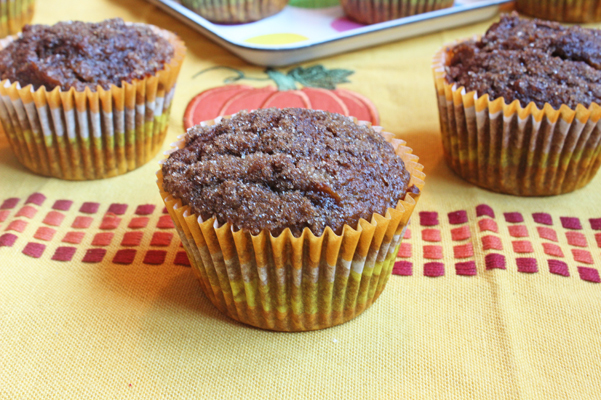 I scooped the batter into muffin cups. 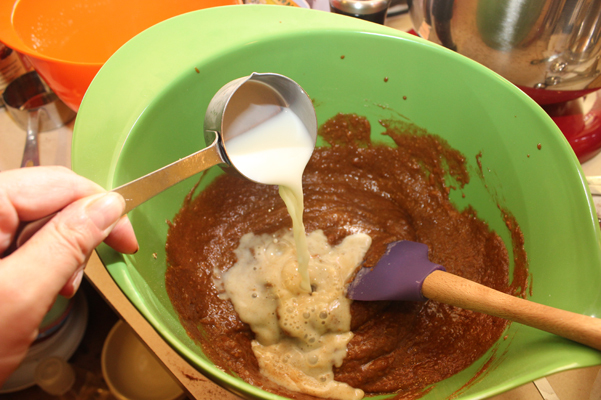 It was actually more of a glopping.scraping combination as the batter was pretty thick. 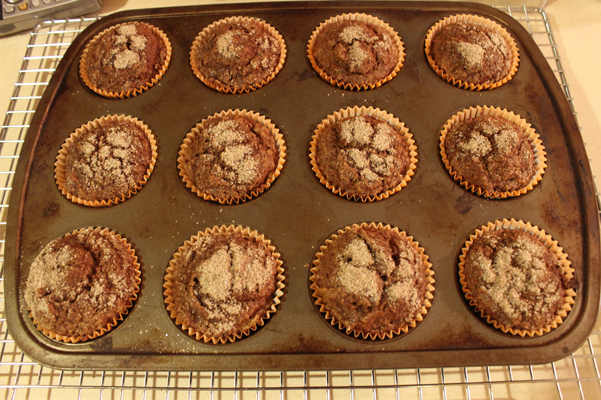 Each muffin got topped with a cinnamon-sugar mixture. But when they were done, they were done, and the smells were very enticing. Melt the butter. 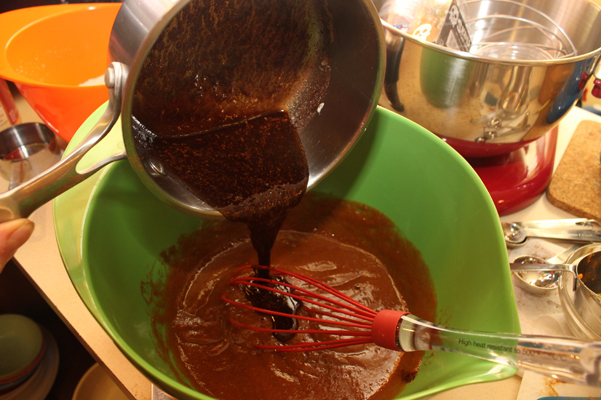 Let it cool slightly and then add in the espresso, cinnamon, cloves, and nutmeg. Set aside. 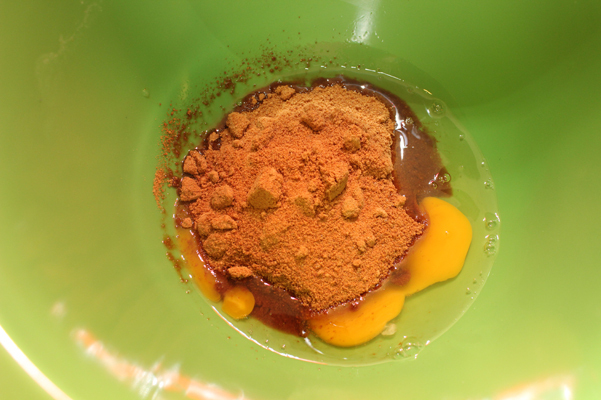 In a large bowl, whisk the eggs and brown sugar together until thoroughly mixed. Stir in the pumpkin, yogurt, and vanilla. 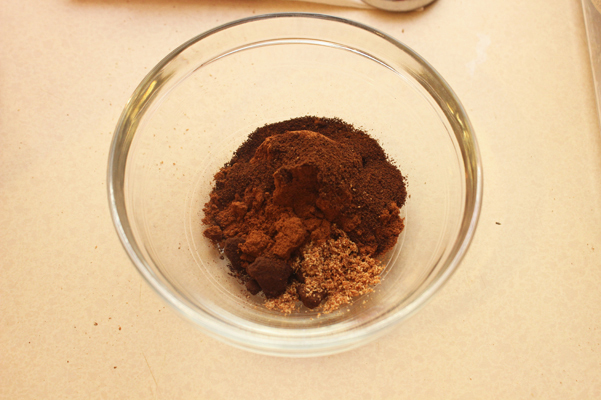 Add the espresso-spice mixture and combine. 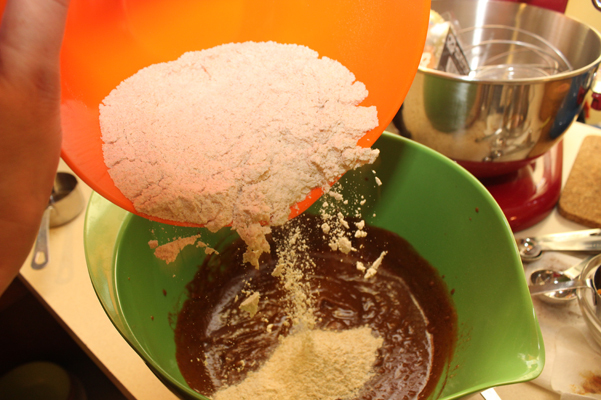 Separately, whisk together the flour, wheat germ, baking powder, and salt. 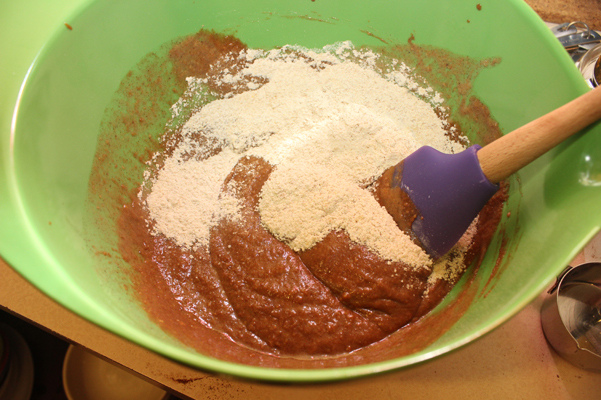 Add half the flour mixture to the other ingredients, and gently mix. Add the milk, then the rest of the flour. Stir just until combined. 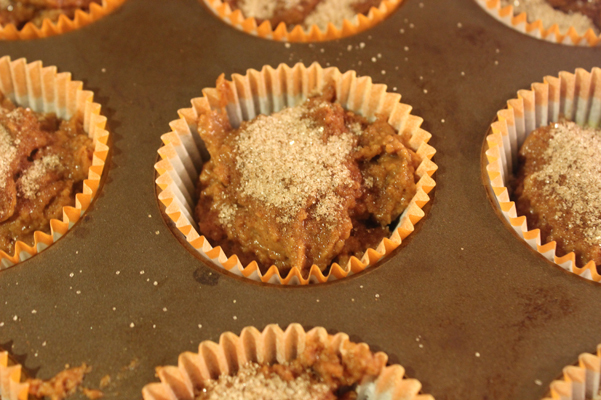 Scoop batter into muffin cups, and sprinkle with the sugar-espresso-cinnamon topping. 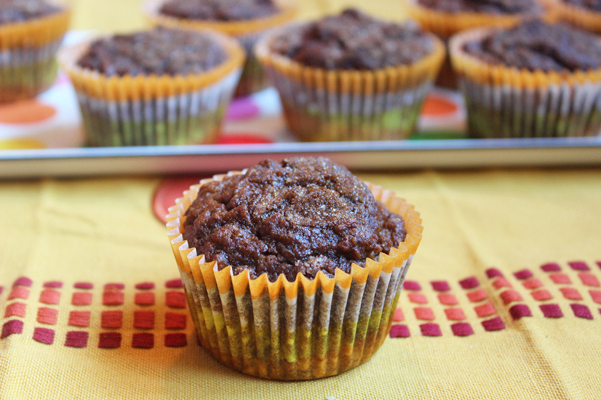 Reduce oven temperature to 375 and bake for 15-30 minutes. (Mine took 27!) Give them a few minutes in the pan before moving to a wire rack to cool. 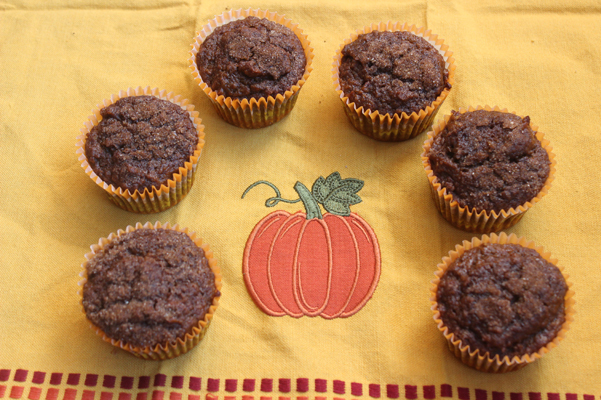 These taste great fresh out of the oven but the flavors come together even better the next day.